Michael E. Zatezalo, managing director and head of Kegler Brown’s Gaming Law practice, was elected to serve as president of the International Masters of Gaming Law (IMGL), effective, January 1, 2016. Consisting of more than 350 members in 43 countries, the IMGL is an association of gaming attorneys, regulators, educators, executives, compliance officers and consultants from around the world who are dedicated to education and the exchange of professional information concerning all aspects of gaming law. Previously serving as vice president and treasurer for IMGL, Michael has 25 years of experience representing local, national and international clients, including suppliers, distributors and manufacturers within the gaming industry, as well as charitable organizations. 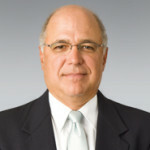 Michael is also a former section chief of the charitable law section of the Ohio Attorney General’s Office and has been a previous presenter at the annual American Bar Association Gaming Law Minefield seminar, at the annual G2E: Global Gaming Expo in Las Vegas and at IMGL conferences and Masterclasses.